The Superior Court Trial of Kevin Hearn v Joseph McLeod (deceased) and Maslak McLeod Gallery Inc. continues on February 6th through the 8th, 2018 with the remaining intervenors, 2439381 Ontario Inc., White Distribution Limited, and Nathaniel Big Canoe, presenting their evidence to contest the plaintiff’s allegations and assessment of the subject painting. 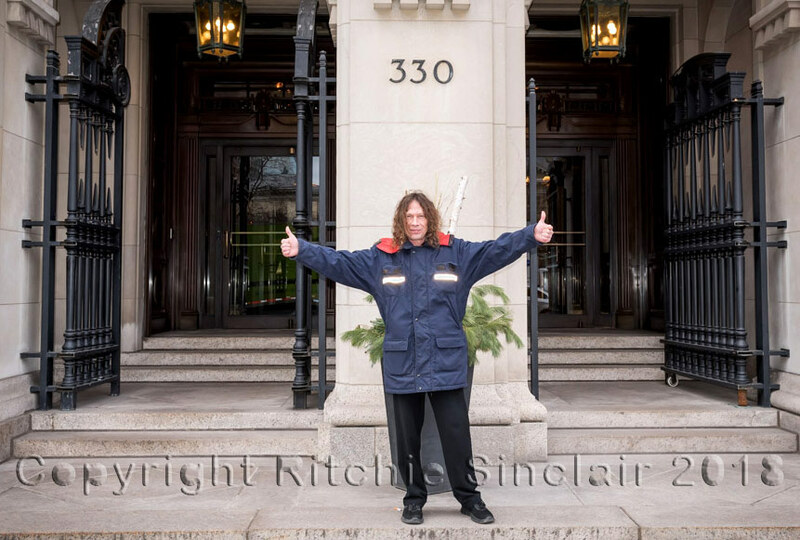 Ritchie Stardreamer Sinclair on December 4th 2017 at Superior Court to attend the Hearn v McLeod Trial. Ten years to the day after Norval Morrisseau passed away, and nine years to the day after Sinclair appeared to defend Morrisseau’s name in Superior Court against Joe McLeod and his associates. As for Mr. Goldi’s blog, I will defer any overall consideration of it until such time that this motion returns for full argument. As I explained to Mr. Sommer at the outset, for a court to order the taking down of a website or an internet blog is akin to a court ordering the banning of a book. There are very serious freedom of expression issues to be considered before that can be done, and I would not purport to do so without a full hearing and without having the issues fully briefed by both sides. That said, Mr. Goldi’s blog is not only very harsh, it is in parts aimed at specific individuals – including Dr. Robertson. Mr. Sommer characterizes these statements and others on the blog as defamatory. They are the type of statements that should not and cannot be made without attracting legal action. They certainly should never be made to a person’s employer, as they could easily be construed as not only defamatory but an interference with the target person’s economic and contractual relations. Mr. Sommer, as the attorney representing Kevin Hearn, has allegedly been targeted by John and Joan Goldi (“the Goldis”) for defamation. Sommer has sued the Goldis for $1.5 Million in Superior Court. Along with Ugo Matulic, another blogger who is also a co-respondent in the plaintiff’s contempt Motion, the Goldis have also been sued by former Morrisseau protege Ritchie Sinclair for $1.1 Million in Superior Court.